These are the knives I had in my Journeyman Smith test. Click on a thumbnail to see the original. 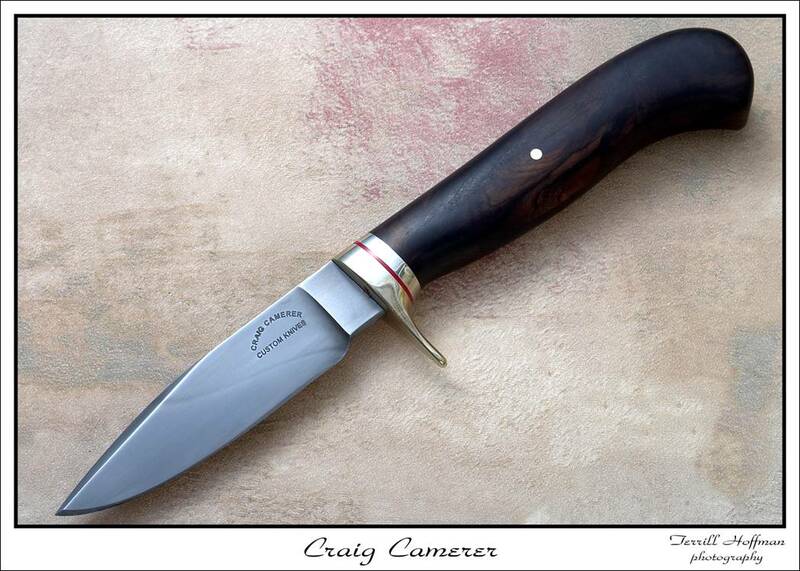 This one has a nice hand rubbed satin finished blade. The fittings are nitre blued mild steel and nickel silver while the handle is walrus ivory. The blade is forged from 1080 steel. The handle construction is a through tang with a threaded pommel nut. 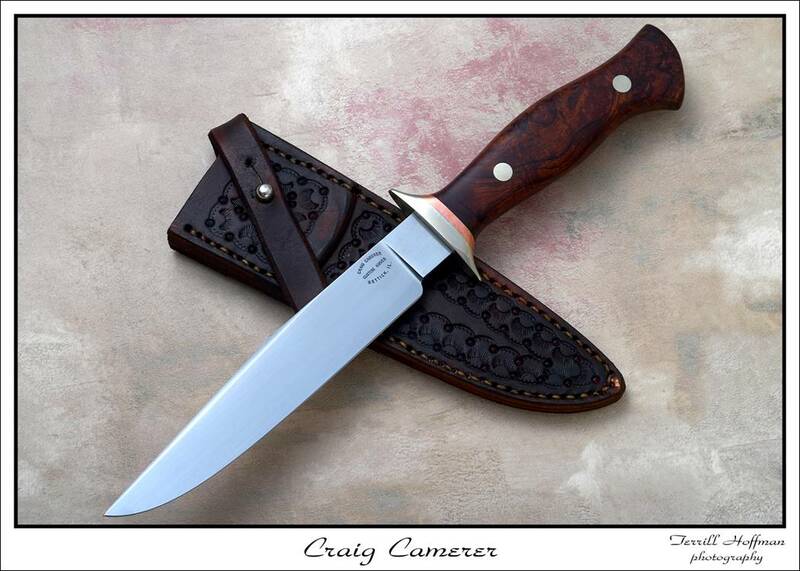 This one has an etched blade with a active hamon. There is a faint ghost hamon above the main also, I believe there is a Japanese term for this but I am unsure what it is. Fittings are Nitre blued mild steel with an African blackwood handle. The handle construction is a hidden tang. The blade is forged from 1080. This knife is forged from W2 with an etched blade finish. The guard is nickel silver with a red spacer. The handle is black ivory. The handle construction is hidden tang. 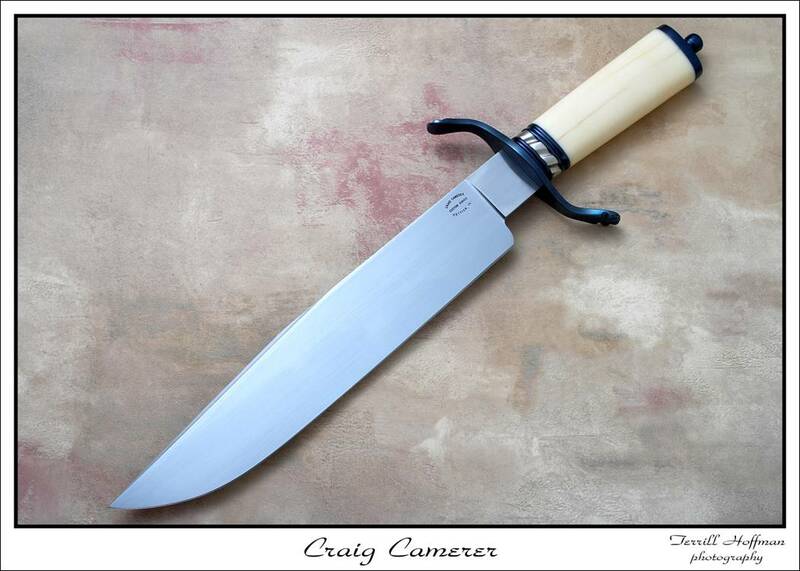 This knife features a blade of forged W2 with a coin edged nitreblued guard and a nickel silver spacer. 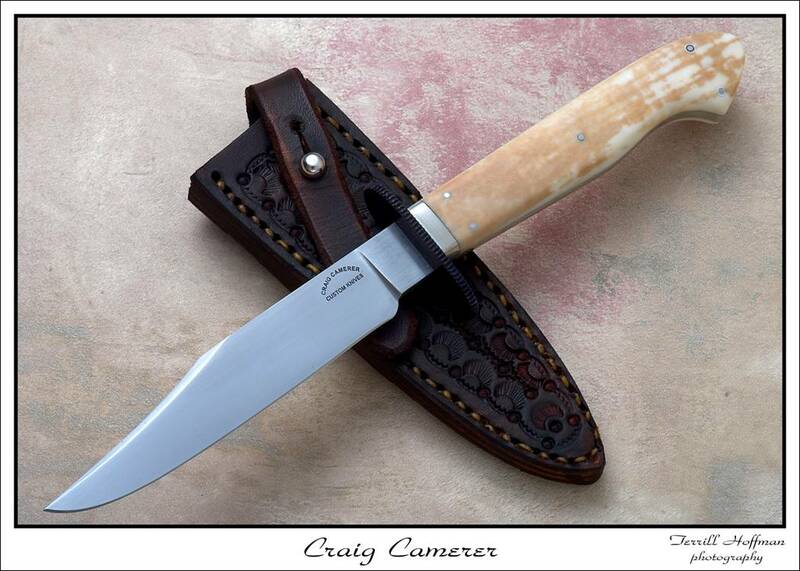 The handle construction is a nickel silver framed handle with walrus ivory. 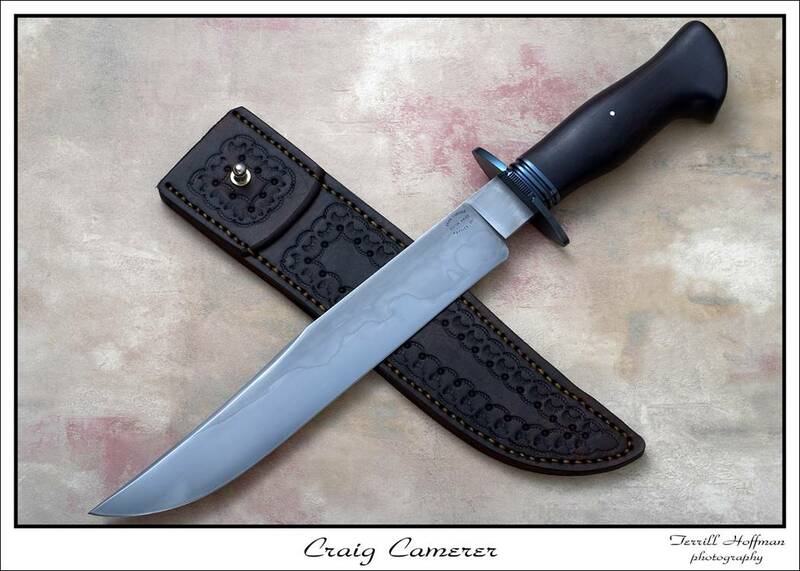 This fighter is forged from 1084 with a mortised tang handle construction. The guard is nickel silver and the space is copper.